I don’t know about you, but this year has just flown by once again! It’s the end of October already and before we know it Christmas will be upon us and we won’t have sorted out our outdoor living space to accommodate all our family and friends for the party/festive season. Now is a great time to start thinking about how you can organize your outdoor living area and have plenty of time to relax with family and friends. 1. Arrange seating to encourage conversation. Christmas is a time for catching up with family and friends that you may not have seen for some time, so having a seating arrangement that encourages socializing and intimacy is a great start. Position seating either facing each other or in a U shape to encourage everyone to participate in conversation. 2. Adding roofing/umbrellas to feel cosy. Adding pergolas or even a shade sail will help create a cosy atmosphere and also help protect from the sun. Adding plants to the area will help give privacy and a feeling of bringing the outside in. 3. Make seating inviting and comfortable. 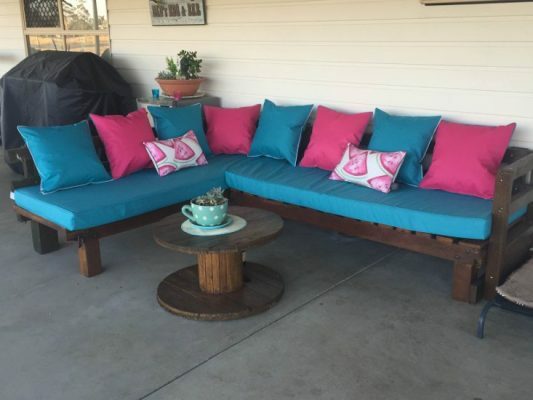 Adding some cushions to an outdoor bench will not only brighten the area but also make it feel inviting and welcoming to relax with a drink among family and friends. 4. Why not create your own furniture? For those who enjoy a little DIY why not try your hand at creating a cosy garden sofa/daybed using recycled wooden pallets. 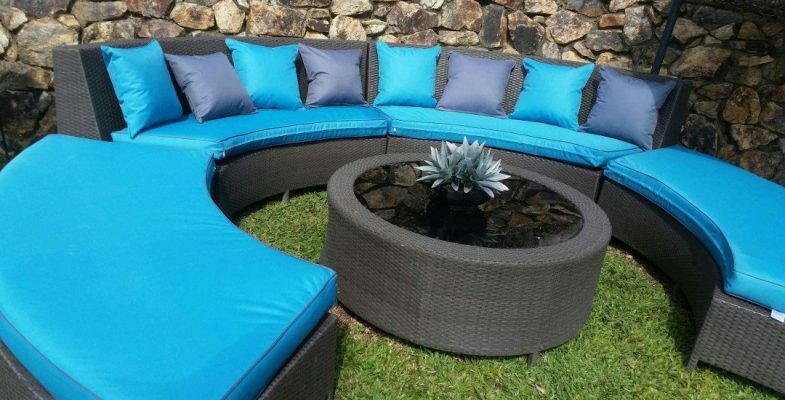 Add a touch of paint, measure and cut a piece of foam for seating and then contact us and we can make you a smart, luxurious cover to finish off the project. 5. Be a little different. Don’t think that your seating has to be standard chairs and outdoor seating, mix it up. Add a little colour with our bean bags, not only a great place for the adults to relax after a huge lunch/dinner, but ideal seating for the children to enjoy. 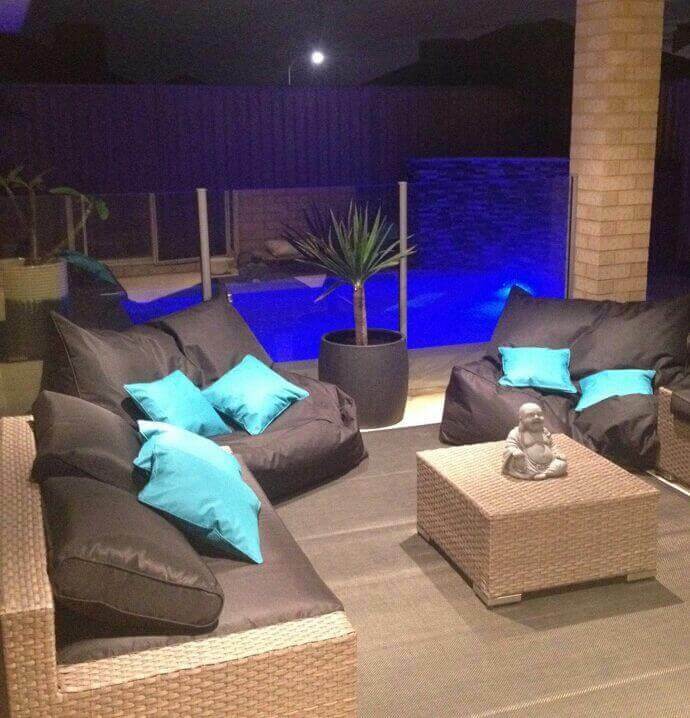 Why not make a space in the backyard just for the kids to hang! 6. Entertaining into the night. Creating that cozy and social atmosphere into the evening can be made easy using fairy lights and tea candles. Outdoor lighting is easy now with more and more solar lights coming on the market at reasonable prices, and with so many types of candles around there will be one to suit the atmosphere that you are trying to create. 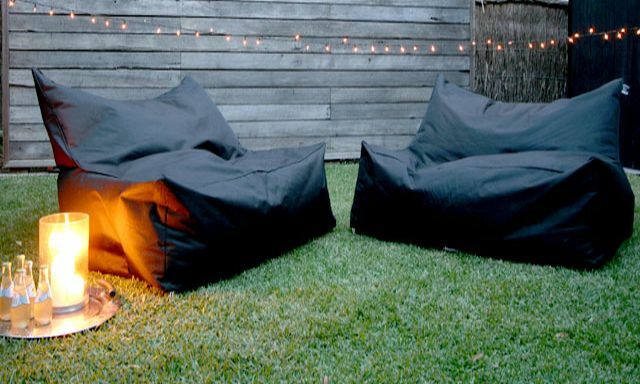 Add a couple of bean bags and you have your guests raving about your efforts. I hope some of these points have helped you think about your entertaining needs for the festive season. With only just over 9 weeks to go, we haven’t got much time to get things organized. With a little planning now, you be able to relax and enjoy the time with family and friends! 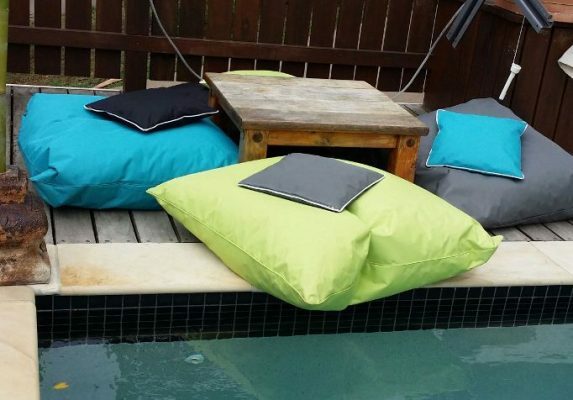 This entry was posted in Bean Bags, Custom Cushion Covers, Stock Cushion Covers and tagged custom cushion cover, made to measure, outdoor bean bag, outdoor living.